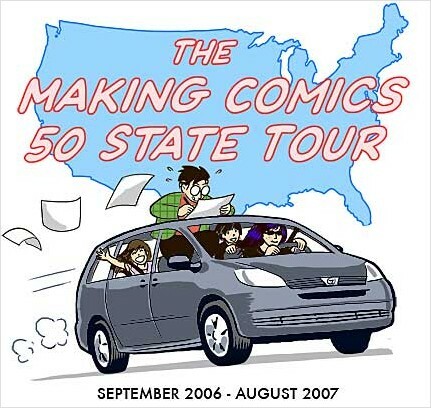 To celebrate Scott's new book, Making Comics, the McClouds are going to drive through all 50 states. In addition to the public appearances, the whole family will be blogging our experiences on the road and interviewing comics artists around the country about their work. We plan to have a lot of fun (when we're not going crazy or trying to kill each other) and we hope you'll be part of it all when we come to your state.